This story is a summary of a series of articles published in the Wingham NSW Chronicle and later published as a booklet in about 1935. ALHS is looking for similar publications or diaries and letters relating to journeys to and from Lebanon to use in our Newsletter and Website. Alec Mellick left Sydney on the SS Barabool on 14th March 1933 bound for Lebanon. This was a trip to revisit his homeland after many years of absence sine he had migrated to Australia. 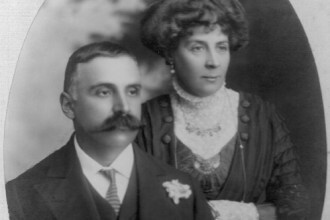 He had planned to make the trip in 1913 with Aziz Melick (of Redfern and the brother and partner of Stanton Melick). However, circumstances prevented him from making the trip and, as he notes, it was a lucky thing since Aziz found himself trapped on the other side of the World because of the disruptions to shipping caused by the outbreak of World War I. After stopovers in Colombo and Aden he arrived at Port Said via the Suez on 19th April 1933. 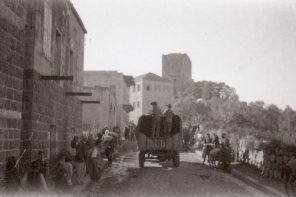 He then caught a train to Hifer (Haifa). (See Note 1). At Hifer he had to undergo a minute search of his luggage by customs officials. It was not permitted to take gold outside a British controlled area, however Alec had been given four gold Sovereigns by a friend in Sydney to pass onto relatives in Lebanon. These he secreted in a cream jar and was able to avoid customs finding them. He spent about 5 months in Bterran, which he described as being a town of about 1,200. The people there did everything possible, he thought, to make his stay pleasant and enjoyable. He motored, hunted deer and hare, visited Mount Lebanon, admired the Cedars and went trout fishing. He met many people who had once lived in New South Wales but returned home and were eager for him to pass on any news he may have had about their old digs. He visited Damascus twice and the Syrian city of Alby as well. He also took a cross-desert bus to Baghdad, which he admired as being a very cosmopolitan city and then flew back to Damascus. 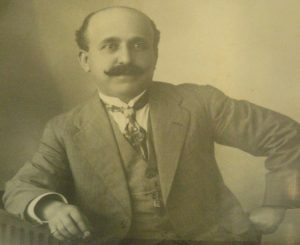 At one stage his uncle, Mr Alfred Mellick, arrived in Beirut to meet his parents. He describes Alfred Mellick as being from Mosman and having lived in Australia for 35 years, owning sheep stations at Coonamble, Bourke and Walgett and being involved in the racing industry. He was said to be on his way to the ‘Old Country’ (by which he meant Britain, not Lebanon!) and had broken his journey to visit relatives. This was he seventh visit to Lebanon since immigrating. Alec Mellick also kept track of where Australian soldiers had been during the World War I campaigns including an acquaintance of his, Mr Harold Donkin. Donkin had known Alec’s relatives from Innis Fail in Queensland and had looked up their relatives in Bterran while serving in the Australian Army. 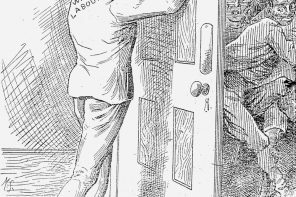 Later, Alec met Donkin in the Manning district and was surprised to learn that he not only knew his relatives in Innis Fail, but in Betrran as well! Eventually he and his parents and sisters visited Palestine and Jerusalem where they spent five days. Finally he bid them all goodbye and they returned to Betrran and he went on his way to Europe via Cairo. In Cairo he met an uncle, Dr. Bert Mellick. This Dr. Mellick had been impressed into the Turkish Army during World War One and his family feared that he was dead. Ultimately he was released by Australian Forces and being an experienced surgeon ended up running a hospital in Cairo. Alec Mellick then continued his travels onto London and Europe. The jaunt abroad was a great education to me, and the visit to my native land and my people will ever remain a cherished memory. All the same, I was glad to get back to Australia-with its sunshine and its hospitable and kindly people. 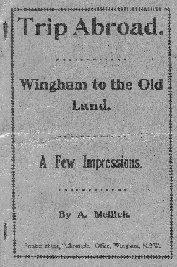 Mellick, Alec A Trip Abroad – Wingham to the Old Land: a few impressions The Chronicle Office, Wingham, c1935. 1.Presumably he means the port of Haifa in what was then Palestine. 2.Bterran is usually spelt Bterram today when transliterated.